Family-owned and operated since 2001, River City Underlayment is the Midwest’s premier floor-prep business. Specializing in underlayments, moisture mitigation, and surface prep, we focus our energy on offering creative solutions to difficult flooring situations, allowing you to dedicate your labor forces to installing flooring. River City Underlayment was founded more than 15 years ago by industry veterans. After years of working in the floor prep business, they determined there were better, more efficient ways of doing the job they loved. 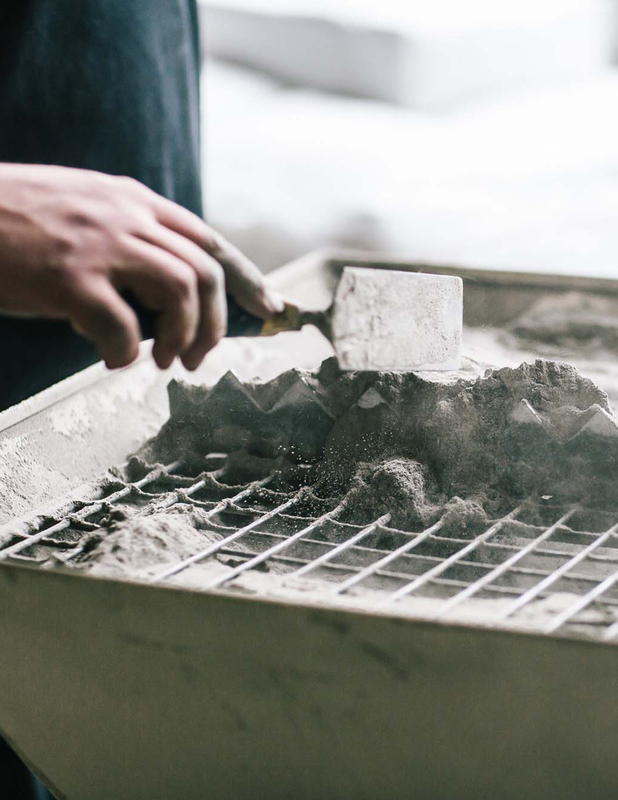 That’s why they created RCU to specialize in doing just that – pouring the best material, with precision tolerance, at a high rate for customers. Family-owned and operated since Day 1, RCU has assembled a team that shares their same values of expertise, dependability and pride in the work they do to ensure every job is done right and done well. River City Underlayment is proud to offer a variety of services to assist our customers in their floor prep needs. 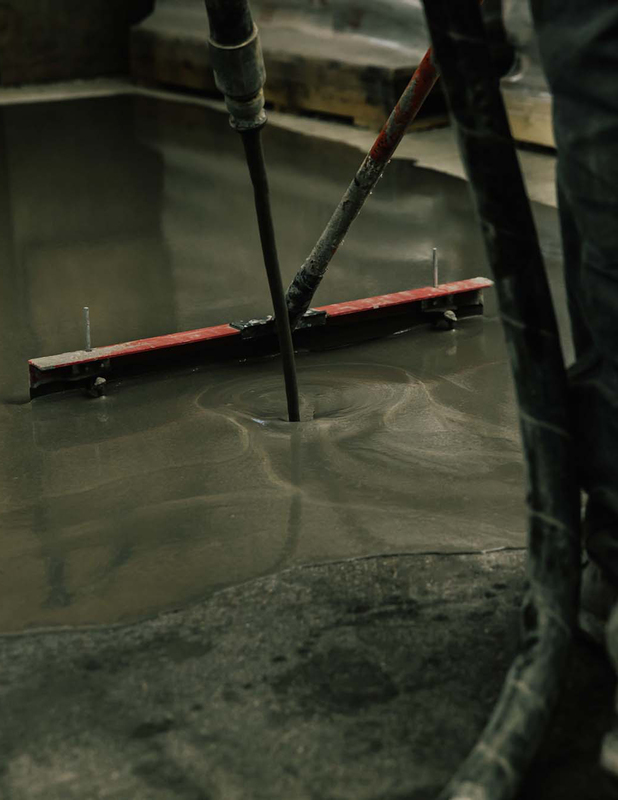 We specialize in precision poured self-leveling underlayments, moisture mitigation, and surface prep. We look forward to putting our expertise and creativity to work in order to solve even the most complex of flooring issues. We work for you – not only is our installation process fast, consistent, and accurate, but our setup is mobile and scalable to facilitate all projects. Whether you have a 200 square foot residential pour, or need to meet the expansive demands of the largest commercial jobs, River City Underlayment is equipped to meet and exceed your expectations. RCU has developed a proprietary pumping system to pour self-leveling underlayments accurately and efficiently. This underlayment process is perfect for rough or uneven floors, and our pumping system makes it that much quicker and easier to install. At RCU, we pride ourselves on values you can rely on. 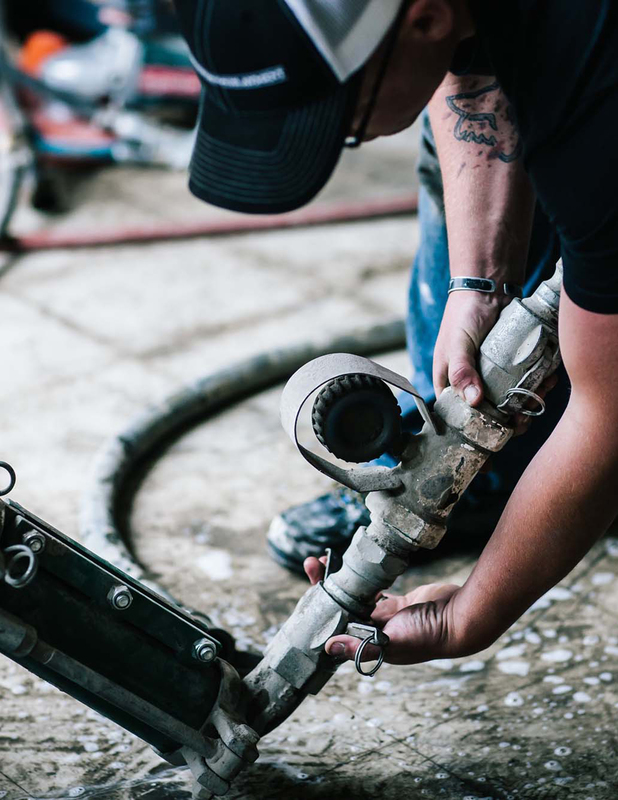 We show up on time, we get the job done right, and we make sure your site is cleaned and ready for the next step in the installation process. We’ll work with you from bid through construction to ensure that your time and money is being well-spent, and you are completely satisfied with the service you receive.